Personal Insights determines the participation type for a given day, based on the classifications established in the Events mapping document and then reports back the percentage of time you were Contributing, Consuming, or Participating for a given month. You can find the Events mapping document on Jive community site at https://community.jivesoftware.com/docs/DOC-195756. For example, consider a 30 day period. In the 30 days, the first 20 days the user was classified as a participant, and the next 10 day the person was classified as a contributor. 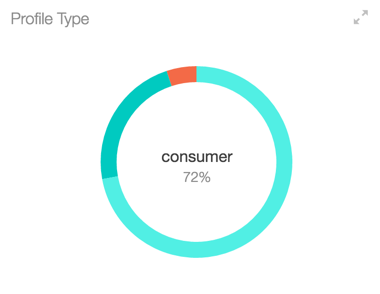 The display should say "Participating 66.67%", the pie chart would have two pie charts - Participant 66.67% and Contributor 33.33%.